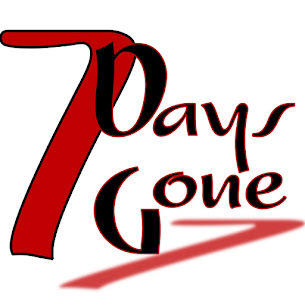 Seven Days Gone: April 9 show at Juan Murphy's - 9pm! Ready to rock and roll! April 9 show at Juan Murphy's - 9pm! Ready to rock and roll! The new lineup is up to speed, folks - we are good to go. We will unfurl ourselves tomorrow night at Juan Murphy's - the old Dubliner, right on Main Street in Poughkeepsie - and keep it going all night long. Can't wait to see you all there and get down!